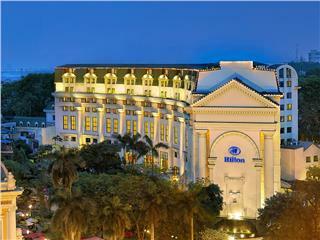 InterContinental Hanoi Westlake Hotel is located at 1A Nghi Tam, Tay Ho District of Hanoi. It is built in a very beautiful location, on the surface of the West Lake. This is a unique hotel in Hanoi in particular and in Vietnam in general. The hotel is about 40 minutes of driving to Noi Bai International Airport, and 10 minutes to the shopping and entertainment centers. It takes you about 15 minutes of walking to Hoan Kiem Lake. With a total investment of US$ 123 million, 5 star InterContinental Hanoi Westlake Hotel is one of the most modern and luxury hotels in Hanoi today. 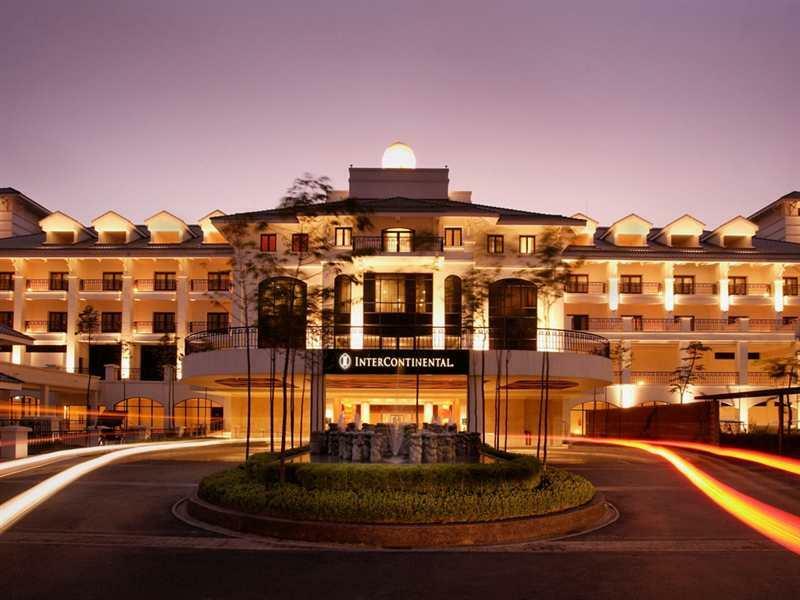 From its opening in 2008, InterContinental Hanoi Westlake Hotel has received many international awards. 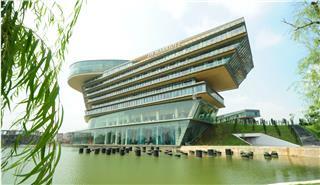 The entire living rooms, restaurants and entertainment services are built on the West Lake. This hotel has a refined style of architecture harkening Vietnam culture combined with contemporary design, including a main building and three separate mansions located on the lake with contemporary Europe-style rooms combined with the charm and grace of Vietnam culture. The 5-star Hanoi hotel is built on an area of ​​4 hectares with modern and luxury style, including one 5-storey main building, 3 separate villas, with 359 rooms under construction nearby West Lake. All rooms have private balconies. If you want to find a quiet and separate space, the InterContinental Hanoi Westlake Hotel is a peaceful and beautiful island in the bustling city. It would be romantic when enjoying a dinner served in room, immersing in the elegant, sparkling and magical beauty at night with decorative lights along the bridge leading to the three mansions. 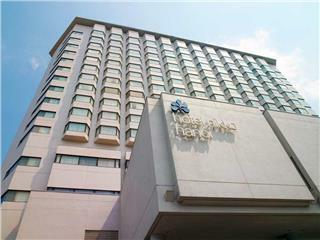 Intercontinental Hanoi Westlake Hotel has a modern meeting room system with a large hall, and four small meeting rooms. Particularly, the large meeting room can accommodate up to 400 guests. The convention center, of this hotel is designed in the style of contemporary Vietnamese architecture. The hotel has restaurants and bars with many different styles. From Milan Restaurant with Italian cuisine, Saigon Restaurant having style of Asia, to Café Du Lac Restaurant with French cuisine or gourmet Sunset Bar has stunning views overlooking the West Lake which embodies the elegance subtle of InterContinental Hanoi Westlake Hotel. Besides, when booking the hotel, guests can use Club InterContinental as a separate area for guests to have a private and luxury space. With a panoramic view of West Lake, Club InterContinental brings perfect space for intimate meetings or with business partners. Here, you will be served daily special breakfast and scrumptious cocktails each evening. High speed Internet connection in room, 24-hour room service, and relaxing aromatic bathroom ... will bring you the best time of relaxation. Besides, when booking the hotel, you are also suggested activities and entertainment. 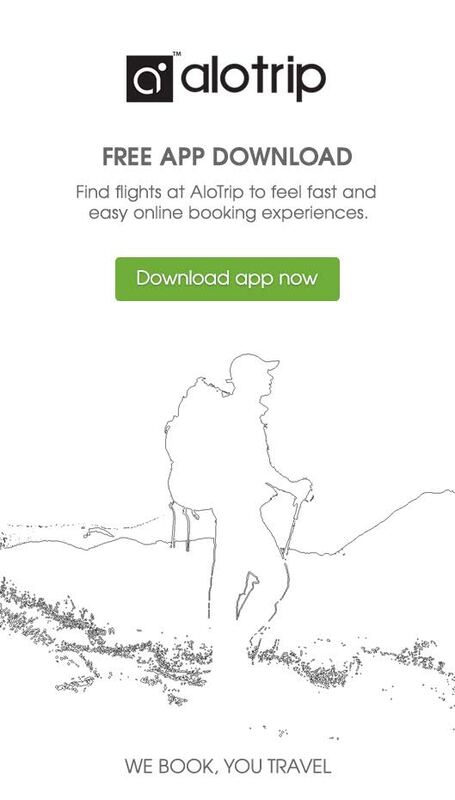 It ensures that you are always excited during your holidays. Whether you come here to relax or work, InterContinental Hanoi Westlake Hotel is a perfect choice for your vacation in Hanoi. As being one of 5 star hotels in Hanoi, InterContinental Hanoi Westlake always desires to bring you the best convenience and comfort. The hotel is built with modern and luxury style, including one 5-storey main building, 3 separate villas with 59 suites, and 318 guest rooms under construction on a water area of ​​4 hectares of West Lake. All rooms have private balconies. InterContinental Hanoi Westlake Hotel is a peaceful and beautiful island in the bustling city where you find a quiet and separate space. It would be romantic when enjoying a dinner served in room and immersing in the elegant, sparkling and magical beauty at night, or walking along the bridge leading to the three mansions with splendid decorative lights. The stylish rooms come with parquet floors, mini bar and private balcony overlooking the hotel's pool, West Lake, or Hanoi City. The private bathroom is equipped with a large walk-in shower and tub. All rooms in this hotel are equipped with standard services: premium services, phone/tax, entertainment, standard internet services, workspace/desk, bathroom/ personal care, refreshment/kitchen, and miscellaneous. The Presidential Suite has an area from 60 square meters. This suite consists of one living room and one bed room. In addition, it has 02 private balconies, which will bring you different chances to enjoy the view of West Lake and other surrounding areas. The living room of Presidential Suite is designed in modern and spacious style with wooden furniture and a walkout balcony. Presidential Suite-Bathroom is well-equipped with luxury interior, large bathtub, separate shower, high-quality bathrobes and towels. In President Suite, there is also a dining room with a dining table for 10 people at most. This suite is suitable for businessmen, important politicians, or celebrities. Lotus Suite has an area of 60 sq. meters with modern and luxury design and King-sized bedding. This suite also has balconies with beautiful lake view. Architecture in this room is arranged in the harmony with simple but unique styles. Furniture is mostly made of wooden. The living room in this suite will provide you with a spacious atmosphere. Meanwhile, the bedroom brings warmth and comfort to you. And, bathroom will be an ideal place for you to relax after a day of working, traveling, or sightseeing. 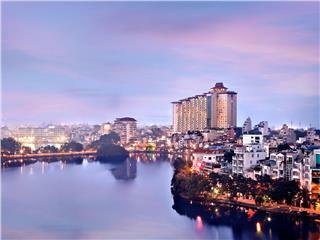 Grand Westlake Suite is one of rooms in this hotel has wonderful views of the West Lake and Hanoi City. With an area of 60 sq. meters, Grand Westlake Suite has a living room, and a bedroom with modern and luxury amenities. This suite has a large walkout balcony which helps you to have a spacious area to contemplate the wonderful views, relax, and enjoy fresh air in the morning, or admire the sparkling and splendid beauty of the hotel at night. Being equipped with King-sized bed, you will have the most comfortable sleep. The Club InterContinental Room has an area of 43 sq. meters. This room has a contemporary Vietnamese design with wooden floor, private walkout balcony, a large soaking bathtub and separate walk in rain shower. This room is furnished by twin beds or King-sized one with warm decorative style, which creates a comfortable feeling when staying in this room. From here, you also can contemplate the beautiful lake view and interesting surrounding areas. This room is provided with a King-sized bed which is suitable for a couple, or a parents and a child. Overwater Pavillion Room is divided into two type: one with a King-sized bed, and another with twin beds. These rooms are well-equipped with modern amenities creating comfort and convenience. This room type will also bring a different experience to you when staying here. Unlike above mentioned suites, the room is designed to float on the water surface, thus, you will have a chance to contemplate a wonderful scene from this room. As soon as do you walk out to the balcony, you will see the romantic and fresh atmosphere of the Westlake, especially at night, the scene becomes more magical. That will be unforgettable moment during your stay at this hotel. 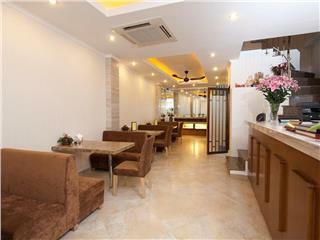 That is also the special feature of this most luxury hotel in Hanoi. With King Bed Deluxe Panoramic View, you will have an amazing experience on the West Lake. From high balcony this room, you can gather almost view of West Lake and the hotel into your eyes. This room is equipped with a King-sized bed or twin beds, modern amenities, and spacious atmosphere. Furniture in this room is designed in contemporary Vietnamese style with a large private balcony. Also, simple but modern feature of cream walls and dark timber is in the harmony with vibrant colors. Superior Room is also categorized into King Bed Superior Room and Twin Bed Superior Room. These rooms are fixed up by modernized Vietnamese style and a large balcony where you can see the wonderful view of the West Lake and the beautiful hotel, along with surrounding natural scene. Residence is one of the best places to stay in this hotel. As being one of rare hotels in Hanoi having the most luxury residence built on a special location, InterContinental Hanoi Westlake Hotel defines its high position in hotels in Vietnam. There are three types of residence in this hotel: 1-bedroom, 2-bedroom, and 3-bedroom. Each room brings difference experiences to you with modern amenities and spacious atmosphere. For those who have intention to stay in Vietnam for a long-term with luxury and profession, residence in this hotel is an ideal choice. For those wishing to improve health, going to Health Club of InterContinental Hanoi is their best choice. Equipped with modern training tools, Health Club helps you revitalize and reenergize after a hard day. If you have not already participated in such classes or courses, do not worry, employees of the club would be happy to assist and advise you at any time. The hotel's Health Club also has a fitness center fully equipped with Yoga and Pilates classes. Guests can enjoy massage services to relax or ask for day trips at the tour desk. The hotel has restaurants and bars with many different styles. 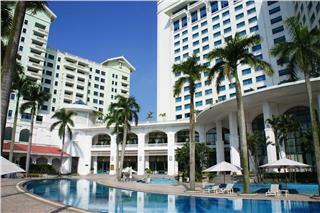 In the hotel's campus, there are 3 restaurants serving daily breakfast, Vietnam cuisine and Italian dishes. Drinks and wines are mostly enjoyed at Sunset Bar or Diplomat Lounge. From Milan Restaurant with Italian cuisine, Saigon Restaurant having style of Asia, to Café Du Lac Restaurant with French cuisine or gourmet Sunset Bar, all of these areas have stunning views overlooking the West Lake which embodies the elegance subtle of InterContinental Hanoi Westlake Hotel. 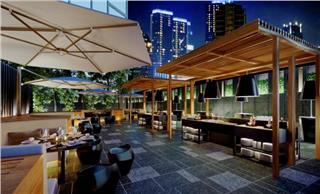 For those who like pool view when enjoying Italian meals at night, Milan Restaurant is your perfect choice. For people who adore Asian food, especially Vietnamese ones, Saigon Restaurant should not be missed. Meanwhile, at Café Du Lac Restaurant, you can enjoy meals at any time from morning to evening, even if you want to have a late breakfast at weekend; this restaurant is willing to serve. Note: This price changes in different time in a year. Thus, you should contact for more information to get the best price before booking. 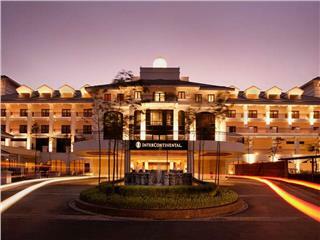 InterContinental Hanoi Westlake Hotel regulates the check-in and check - out is 14: 00 and 12:00, respectively. Yet, this timetable can be changed if you request. In case, you want to check in early or check out late, you need inform the receptionist for more support, perhaps, you might be charged a bit if check out late. For the services of cancellation and prepayment in InterContinental Hanoi Westlake Hotel, each room has a different policy. In addition, the fee for cancellation varies seasonally. Thus, to have the best incentive, you should choose exact time for staying and ask the hotel for more details before booking. According to the policy of this hotel, all children are welcomed in this hotel. Children under 12 are out of charge if they use the existing bedding with their parent. In case, you order an extra bed, you may have to pay more fee, depending on different types of room and time in a year. For children under 2, they will be free from using cots. For children above 12, or adults, they have to use extra bed and pay surcharge. Types of paying by card in this hotel are flexible. VISA card and MasterCard are accepted. Besides, before booking, you should ask for more detail to make your reservation go smoothly, as policy on this field may be changed. The hotel is near Kim Lien Pagoda, Tran Quoc Pagoda, near other attractions such as Thang Long Water Puppet Theater, Vietnam Fine Arts Museum, and Sun Park... The luxurious InterContinental Hanoi Westlake Hotel is located on peaceful water of West Lake in Hanoi, next to Kim Lien Pagoda (Golden Lotus), an 800 year- old pagoda. 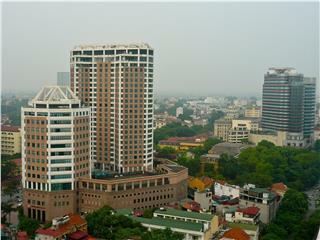 InterContinental Hanoi Westlake is about 18 km from Noi Bai International Airport. It is also near beautiful sights such as Thang Long Water Puppet Theatre and Vietnam Fine Arts Museum about 4.7 km. 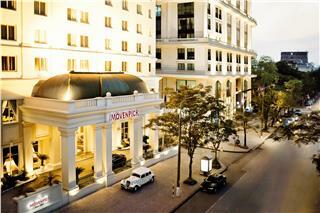 Moevenpick Hotel Hanoi is a luxury five star hotel in Hanoi. The hotel is designed in special French architectural features with 154 opulent rooms. With from 108 USD per night, you will be served all best services and comfort. 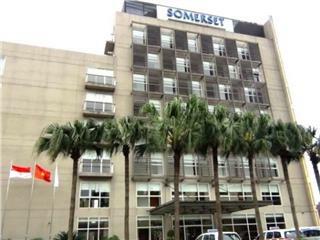 Somerset West Lake Serviced Residences owns 90 differently styled to meet all needs of customers. The hotel has a great view of West Lake and city. 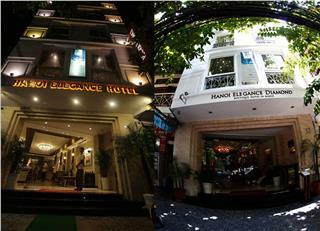 With only from 72 USD per night, you can enjoy your holiday in Hanoi with best services. Being awarded as the best Hanoi hotel in 2010 and voted as Vietnam leading hotel during five consecutive years by World Travel Awards, Hilton Hanoi Opera Hotel deserves to be one of the best 5 star hotels in Hanoi in particular and in Vietnam in general. 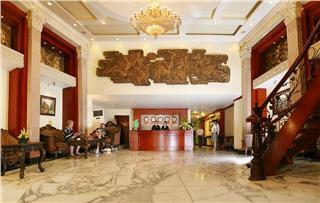 Hoabinh Palace Hotel is one of the best 3 star hotels in Hanoi Old Quarter. The hotel promises to provide guests with all the best services. Paying from 50 USD per night, guests will enjoy the most comfortable and relaxing moments with friends and family. 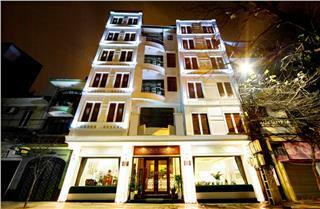 Located in the city center, Prestige Hotel Hanoi is a familiar address of tourists when traveling the city. The hotel is outfitted with modern and luxury amenities in rooms and apartment, along with convenient facilities in the hotel. 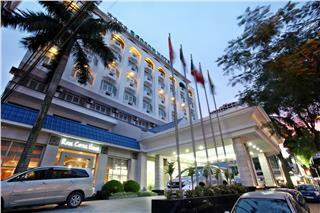 Bao Son International Hotel is one of the most favorite 4 star hotels in Hanoi. The hotel owns 100 deluxe rooms and suites with best services. There, guests will enjoy the most exciting moment in the entertainment center and four-year swimming pool. 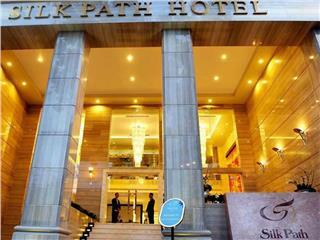 Silk Path Hotel is one of the most luxury 4 star hotels in Hanoi Old Quarter. This hotel provides customers with a wide range of high-quality services. 106 rooms are divided into three categories: deluxe, executive, and presidential with modern amenities. 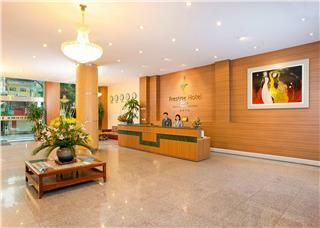 In spite of being known as one of cheap hotels in Hanoi with the price from USD $43, Hanoi Sen 2 Hotel is a good accommodation for travelers with more than 60 well-appointed rooms, fitness centers, meeting rooms, other modern amenities, and good services. 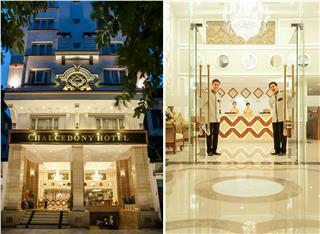 Chalcedony Hotel is a 4 star hotel in Hanoi Old Quarter. The hotel is outfitted with over 70 luxury rooms and suites along with a spacious restaurant, a modern bar, and a cozy coffee lounge. The average rate of this hotel is 60 USD per night. Hong Ngoc Dynastie was built in 2006. It is the first member in the family of Hong Ngoc Hotel. 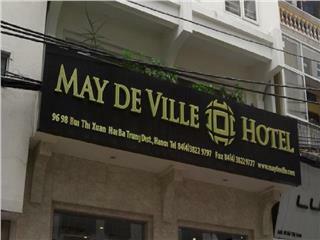 It is one of the most favorite hotels in Hanoi Old Quarter. 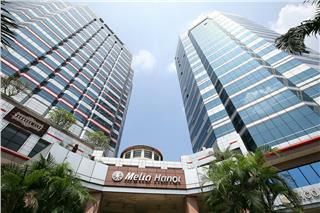 From the hotel, guests can easily travel to Hoan Kiem Lake and other attractions nearby. Owning over 300 luxurious rooms and suites, Lotte Hotel Hanoi is a perfect choice for luxury and profession. Guests will have chances to relax at modern fitness center, spa and yoga center, along with tasting many delicious dishes. Situated on the riverbank of West Lake, Sofitel Plaza Hanoi Hotel looks like a luxurious and beautiful edifice in the heart of Hanoi. 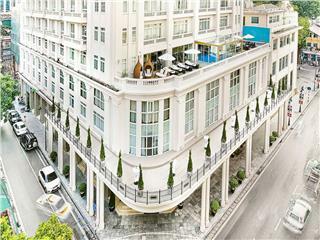 Residing in this hotel, you can experience one of the best luxury hotels in Hanoi with the best view of the city. JW Marriot Hotel Hanoi is among best hotels in Hanoi, which is recommended for business travels, couples, families, and groups. With the awe-inspiring architecture outside and first-class services inside, the hotel will bring you sumptuous experiences.